Stop what you are doing. Jessie J has revealed she will be making her BIG SCREEN debut very soon however was VERY tightlipped on what it could be! Not content with conquering the chart with her HUGE hit 'Bang Bang' last year, Jessie J has now set her sights on Hollywood. The 'Price Tag' songstress revealed the sensational news to Marvin Humes and Kat Shoob in a phone interview on Sunday's show. 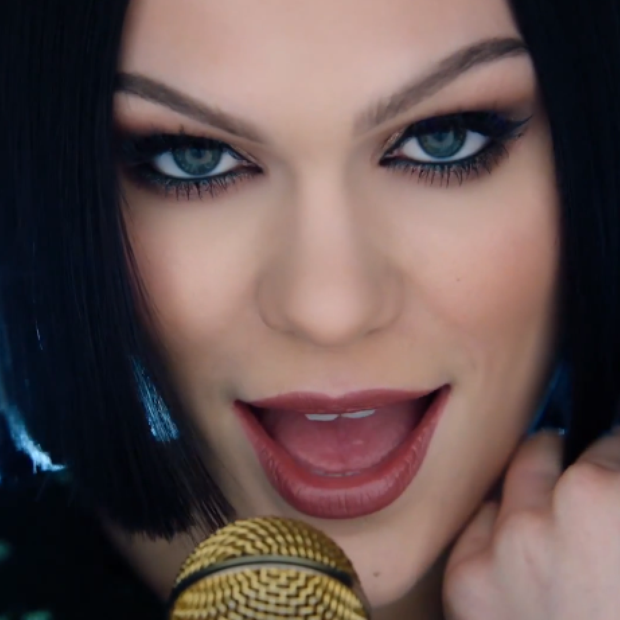 Watch Jessie's music video for top ten hit 'Flashlight' from the 'Pitch Perfect 2' soundtrack. She exclusively told us, 'I'm just currently doing my first film'. When asked on whether she could give us any juicy details, the Essex born singer said 'I can't tell you, I wish I could - I can't tell you because it would give it away'. Hmm, maybe a Jedi in the new Star Wars flick? We'd pay GOOD money for that. She also added, 'It's not the obvious thing though'. Jessie continued, 'It's a nice way to ease in you know, i'm very much about quality - this was something I really wanted to do so i made plans for it'. WOW! So there you have it, Jessie will be coming to the big screen very soon, WE CAN'T WAIT to find out what it's going to be. All this secrecy ay…seriously what is it going to be?